We started 2017 with a new team at the helm of the EHF; the elections in November 2016 brought a generational change to the federation’s political structure, with many new faces taking on tasks and responsibilities within European handball for the first time. One result of the elections was an EHF Executive Committee with a significantly younger average age profile (49.5 compared to 59.2 in the previous four-year period) and now, after more than a year of positive cooperation, I can confidently say that we can see a new dynamism in our decision-making processes – a positive result for the federation. 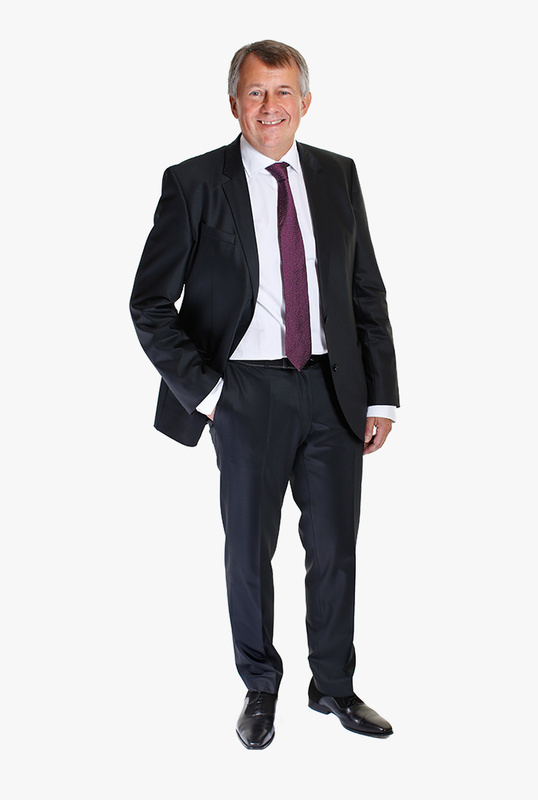 For many these changes also meant a new position and a fresh challenge; for me this meant stepping up from a position I had held for close to 25 years to become the EHF’s first full-time president - a necessary development given the challenges faced by a modern sports federation such as the EHF. 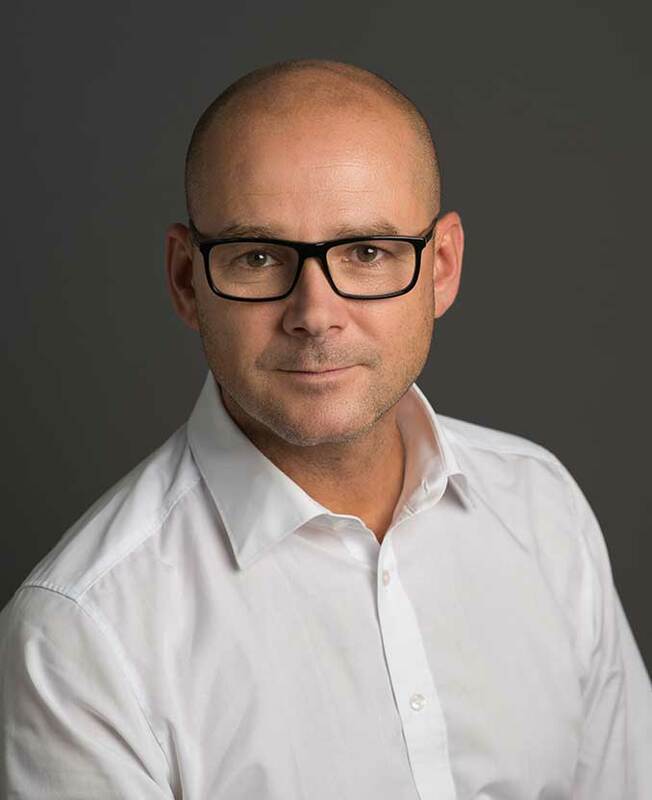 The appointment in August of a new secretary general, the highly-experienced Martin Hausleitner, who joined us after 20 years with the Austrian Handball Federation, has also further strengthened our team and the work of the EHF Office in Vienna. The ‘odd’ years, a year without an EHF EURO for the federation to organise, allows for some time for planning and preparation, alongside all of our regular activities including club competitions, qualification matches for national teams, events, courses, conferences and youth events. And in 2017 we were looking very much to the future. 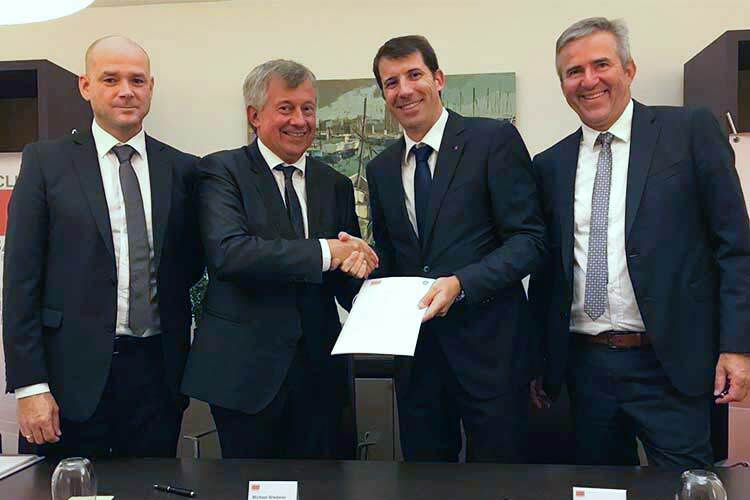 September saw the launch of a tender process for the federation’s audio-visual and marketing rights for the period 2020 to 2030, including a new club competition system from 2020, and we also agreed the terms of a new Memorandum of Understanding with the continent’s top men’s clubs. 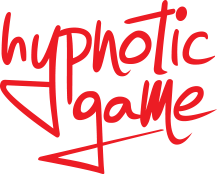 All of these developments will provide a solid basis in order to take the whole of the sport to an even higher level in the future. That is not to say that there were no stand-out moments in the past 12 months – quite the contrary. 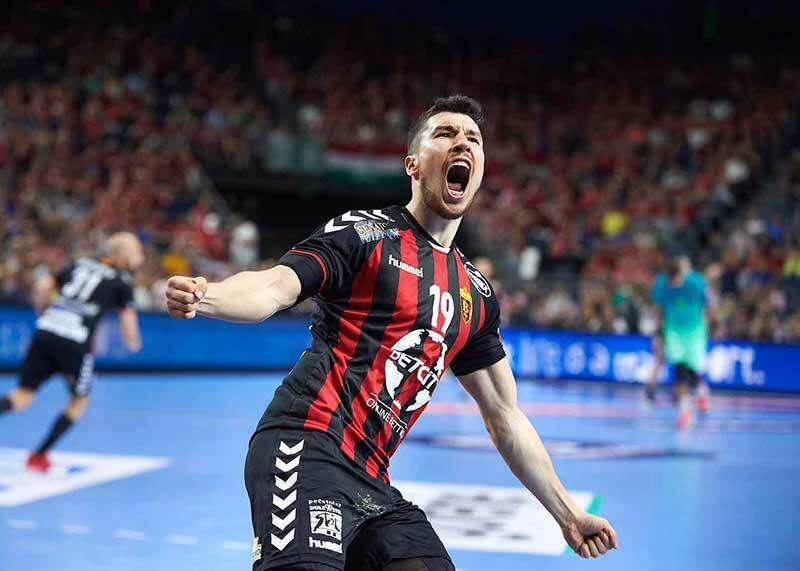 The last-second victory of HC Vardar at the VELUX EHF FINAL4 in Cologne’s LANXESS arena in Germany will stay in my memory for many years to come, as will the reaction of fans back home in Skopje, where an incredible 150,000 people took to the streets of the capital to celebrate this historic win. 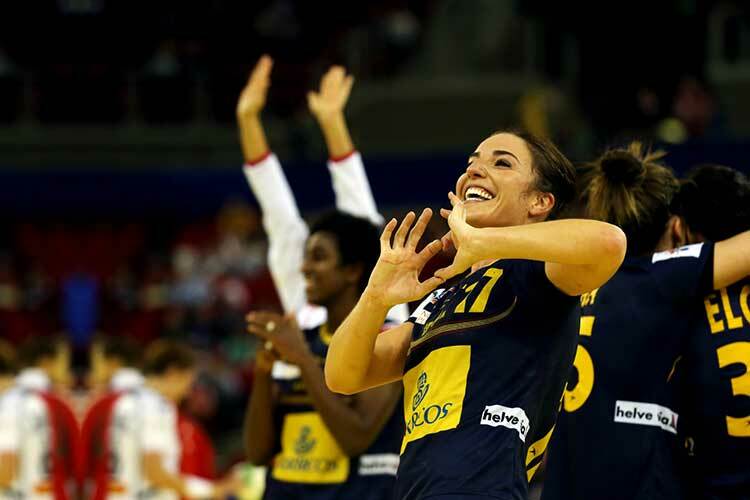 The Women’s EHF FINAL4 was another highpoint of the season thanks to perfect organisation, a sold-out arena and the superb quality of the matches we witnessed in Budapest, Hungary, including the thrilling win by Györi Audi ETO KC in extra time. The EHF Business Report 2017, the third edition in a digital format, presents a review of the past year and the many achievements of the EHF and its staff and officials. However, the next major event is also just around the corner, with the Men’s EHF EURO 2018 to be played across Croatia in January 2018 – so please excuse us if this time, we do not just look back but also forward to even more highlights awaiting us in the next 12 months. 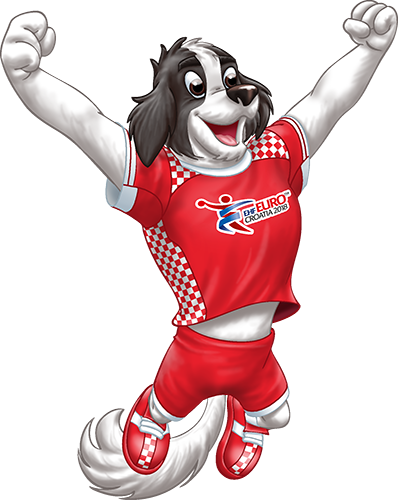 The European Handball Federation is the governing body for handball in Europe. With 50 member federations and two associated federations, the EHF is responsible for a wide range of tasks and activities from promotion and development through to the organisation of high profile sports events. The EHF is affiliated to the International Handball Federation. More goals, more fans, more excitement - 2017 has been another ground-breaking year for the EHF's flagship events. 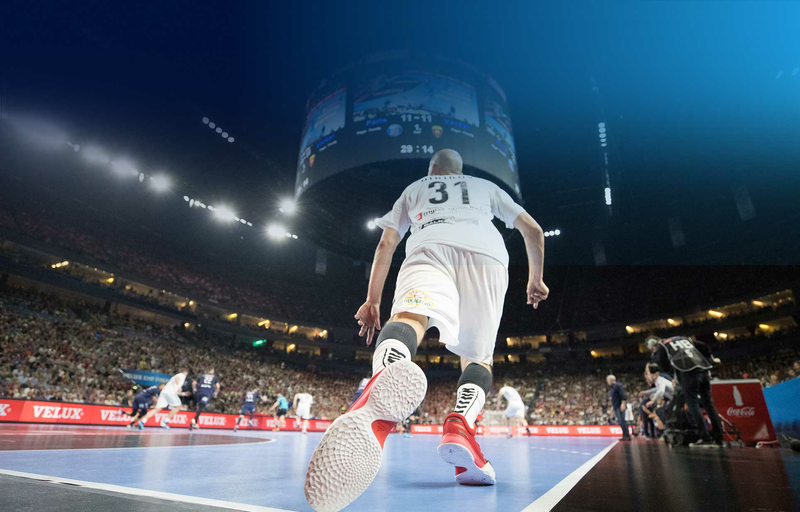 The European Handball Federation, in a joint project with its marketing subsidiary, EHF Marketing GmbH, is building an all-new online presence, called the ‘Home of Handball’ – and with the relaunch of ehfCL.com, the first stages of the strategy have already been implemented. Over 150 experts from across Europe in the fields of technology, marketing and handball heard presentations and took part in panel discussions on Friday, 2 June 2017, ahead of the start of the VELUX EHF FINAL4 2017, at the ‘European Handball goes Tech’ event organised by EHF Marketing GmbH in partnership with Sportradar, and held at KölnSKY overlooking Cologne. Profiling some of our partners and their agreements with the EHF. Currently in its third edition, the European Handball Manager certificate programme has firmly established itself as an indispensable contribution to the sport’s professionalisation. The EHF Scientific Conference 2017 took place in Vienna in November with close to 100 experts from all fields in attendance. In a milestone project in the academic certification of education in sport, 13 EHF master coaches have successfully graduated with a master’s degree from the University of Las Palmas on Gran Canaria. Underlining the importance of easy-access street handball for bringing more young people to the sport, the EHF organised its very first Goalcha Conference in 2017. 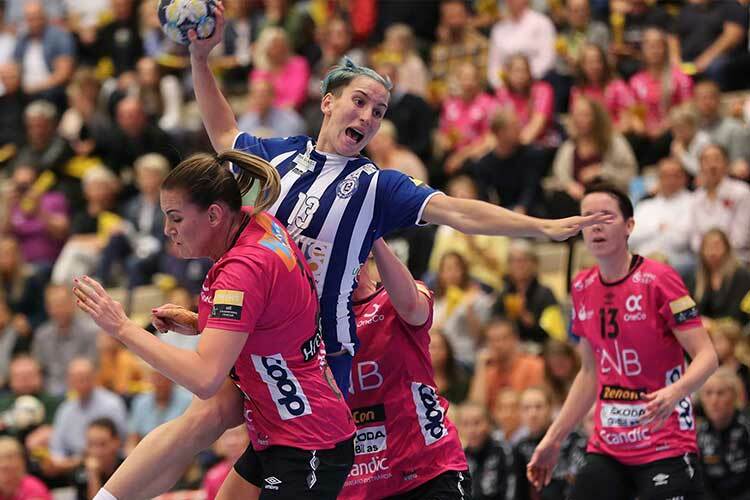 A unique workshop hosted by the EHF in October 2017 has given new impetus to the further development of women’s handball – and women in handball. The boards and commissions of the European Handball Federation have been working hard throughout 2017. Read what they've been doing this year. Launch of the federation’s first tender process for its audio-visual and marketing rights. The EHF and Forum Club Handball have signed a new Memorandum of Understanding. In October, the EHF revealed its proposals for the future of its club competitions from 2020. For the first time, the ‘Bid Code’ was accompanied by an official bidding website. 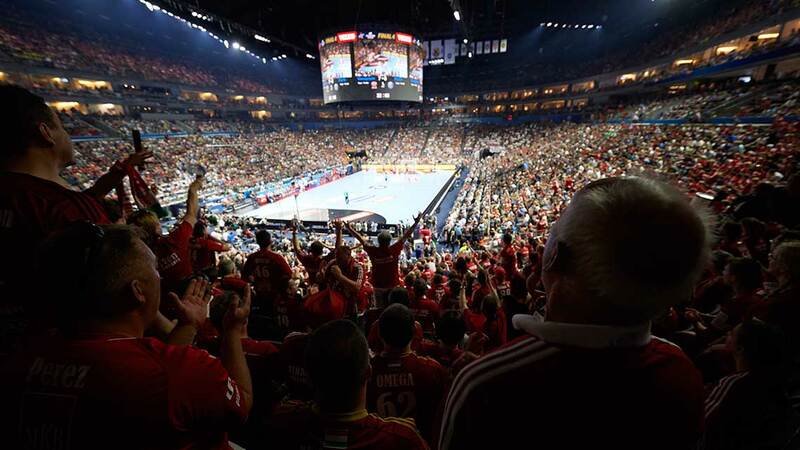 The first major highlight of next year will be the Men’s EHF EURO 2018, taking place in Croatia in January. It has been just five short months since I took on my new role as secretary general of the EHF. After more than 20 years of working in handball, as a club manager, as secretary general of the Austrian Handball Federation and also a number of roles within the EHF, I thought I knew how the EHF ticked. I have learned, however, that you do not always get the complete picture from the outside, looking in. The pace of progress within European handball is incredible, made possible by the huge amount of work undertaken by my new colleagues in the EHF office from both the EHF and EHF Marketing GmbH, alongside the highly professional approach to everything that it does. 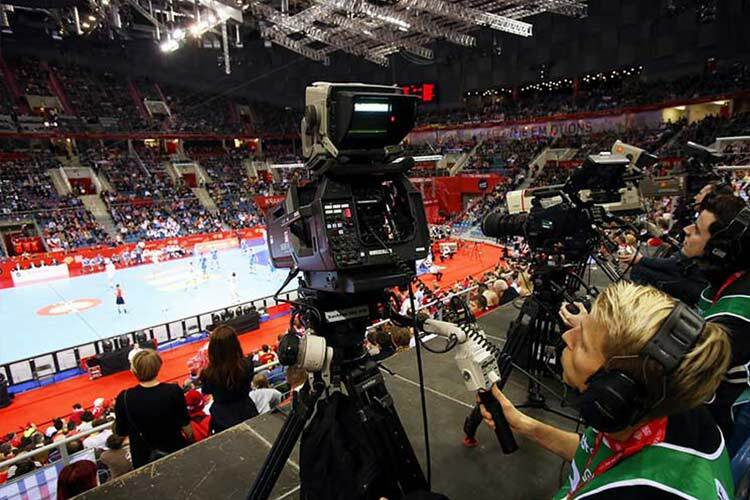 Since the start of the season, the EHF has launched its first tender process for its media and marketing rights, announced proposals for a new playing system for its club competitions and signed a significant new memorandum of understanding with Europe’s top clubs. This of course on top of the ‘regular’ daily business of the federation including the organisation of club competitions, workshops and meetings, draw events, EHF Scientific Conference, Beach Handball Champions Cup, and also the extensive preparations for the Men’s EHF EURO 2018 in Croatia. Next year will be even busier, actually to be correct: 2018 will be the busiest year the EHF has had in its 27-year history, particularly in terms of the number of competitions to be organised and matches to be played. 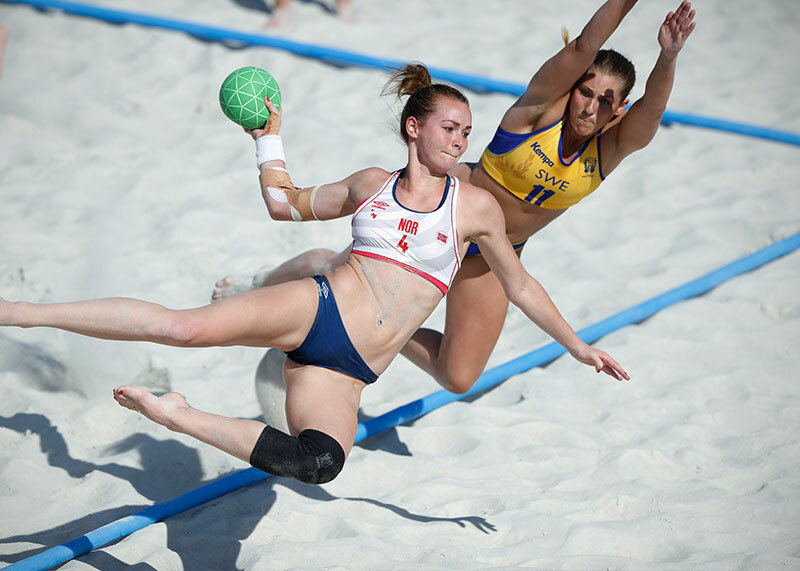 Alongside a full programme of club competitions and final events, this busy programme will include two EHF EUROs and six younger age category championships over the summer. Add to this too, the EHF Congress in Glasgow in June and preparations for the Men’s EHF EURO in 2020, which will include the qualification draw in April in Trondheim parallel to important marketing and digital media workshops for federations. There are certainly challenges ahead for the EHF, not just in 2018 but also in the long-term as we look to the next 10 years. Crucial decisions will be reached in 2018 in relation to our future media and marketing partners and also the structure of the federation in the future. The federation needs to adapt and change if it is to compete on the international sports market and if we are to continue to grow and expand the sport and indeed the global handball community. 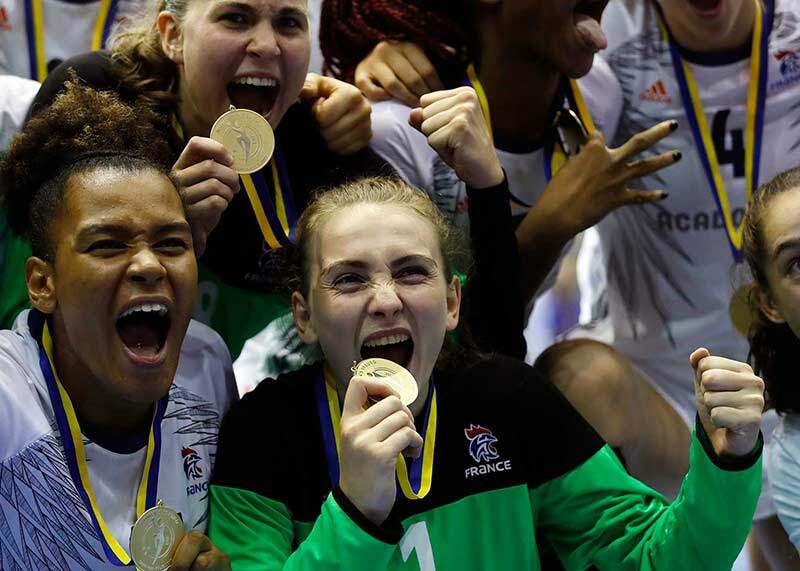 If the past five months has taught me anything, it is that the EHF is up to the challenge and that there is an exciting future ahead for European handball.